More than five million children risk famine in war-torn Yemen as food and fuel prices soar, Save the Children said Wednesday, warning an entire generation may face death and "starvation on an unprecedented scale". "Millions of children don't know when or if their next meal will come," said Helle Thorning-Schmidt, CEO of Save the Children International. 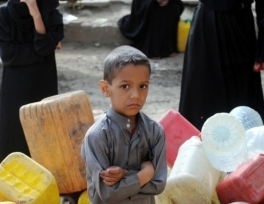 Located on Yemen's Red Sea coast, the city is controlled by the rebels and blockaded by Saudi Arabia and its allies. Having already identified four million children at risk of starvation, Save The Children warned Wednesday another million could now face famine as the Hodeida battle escalates. "In one hospital I visited in north Yemen, the babies were too weak to cry, their bodies exhausted by hunger," said Thorning-Schmidt. Food prices in some parts of the country have doubled in just a few days, and the non-governmental organisation said families faced impossible choices on whether to pay to take a baby to hospital at the expense of feeding the rest of the family. 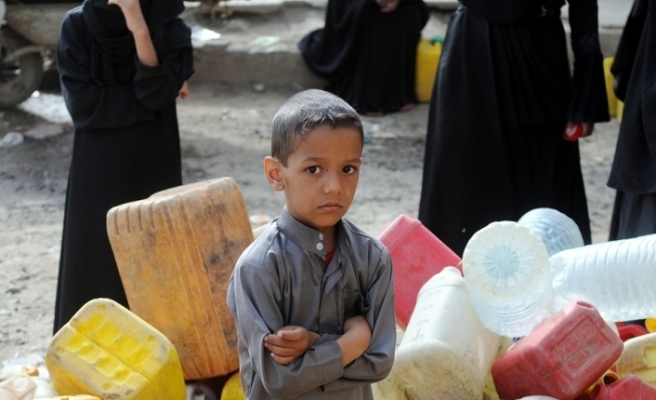 A total of 5.2 million children across Yemen are now at risk of starvation, according to the Britain-based NGO.